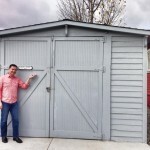 Today I have another guest post for you, this time from the West Coast! 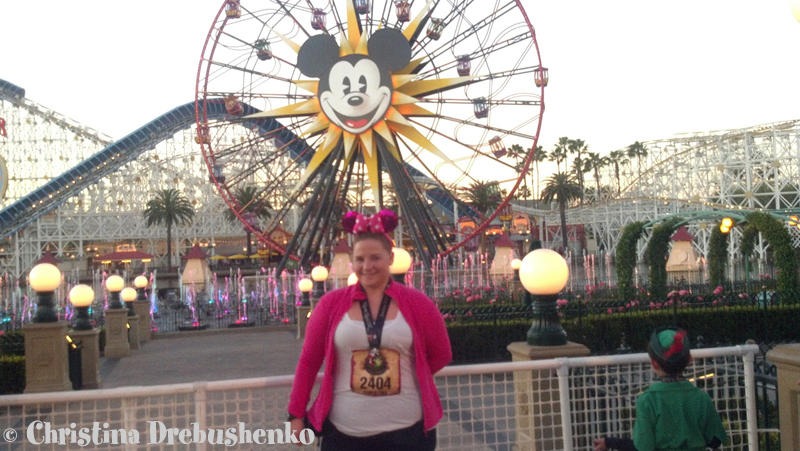 Christina Drebushenko recently ran her first 5K in Disneyland, the Never Land Family Fun Run 5K. This gets me even more excited about Disneyland Half Marathon weekend 🙂 Big congrats to Christina for her accomplishment! Disney has always been a big part of my life. I grew up going to Disneyland. I interned at Walt Disney World. I’ve celebrated Birthdays, Holidays, Spring Breaks, Random Thursdays, and all sorts of other things. 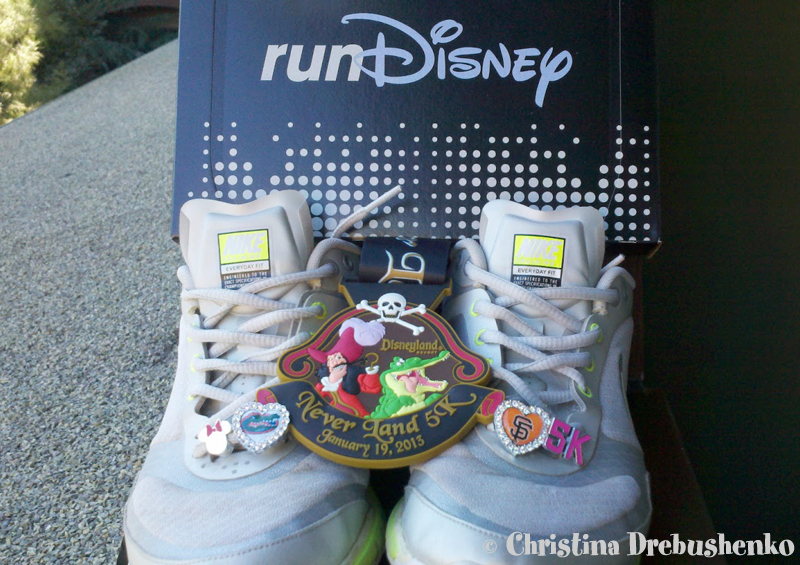 But I’ve never been more emotional than when I was walking down Main Street for my first 5K. 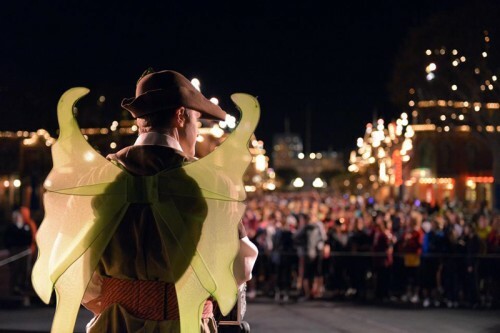 I got to Disneyland around 5:00AM and was placed in Corral C, which lined up down the front half of Main Street. (Corrals A & B, which wrapped around the “Partners” statue and the Hub, were already full!). There was a DJ playing music and our hosts were in a giant “Pirate Ship” in front of the castle. Since it was still dark, the castle was lit with different colored lights and patterns. Shortly before the start of the run, Tinkerbell flew over the Castle and sprinkled some Pixie Dust, lit off some fireworks, then we were off! The first half of the course through Disneyland was mostly “backstage” with various parade floats on display and lots of Cast Members cheering us on! The second half I liked much better as we ran/walked through a good bit of California Adventure. 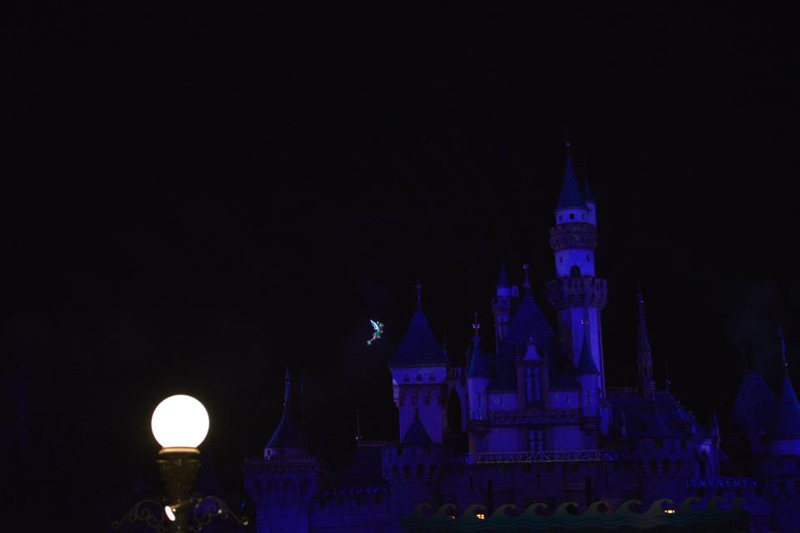 There were more cast members cheering us on and they even had some of the fountains and lights on from World of Color. At the 3 mile marker, Mickey & Minnie were there to take pictures (the line was ridiculously long, as I had expected), and then everyone made a mad dash to the finish in Paradise Pier. As many of you know, there was even a proposal at the finish line! Overall I thought it was a pretty good race for runners/walkers of all levels. Since this was my first 5K ever, I wasn’t sure what to expect, but knew that Disney would make sure every detail was covered! I ended up only running about 1/3 of the course because it was so crowded by the time my corral started, but I was happy with my 40 minute finish anyways! 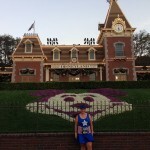 I am looking forward to running a local 5K in the next month or two, and the Inaugural Disneyland 10K in August! My first “bling” and snack box! Krissy @ Shiawase Life recently posted..wordless wednesday. Thanks Krissy! 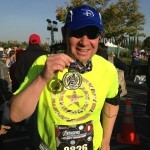 I had fun too…can’t wait to see what’s in store for the 10K in August!